The PX-S3000 has the most advanced key action of any portable piano, in an instrument that is more compact than any other*. 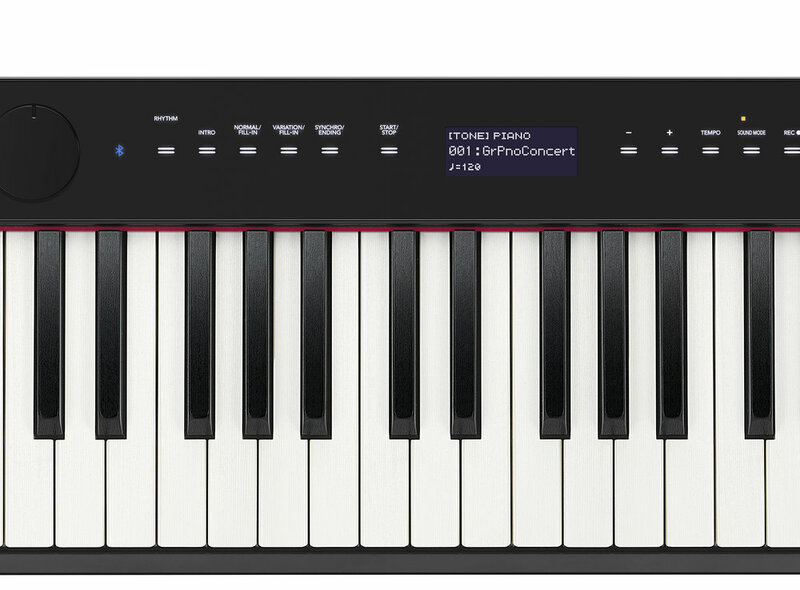 There are a total of 700 AiR tones to explore on the PX-3000, which can be played solo, layered together or be assigned to different areas of the keyboard. These include incredible Electric Pianos, orchestral tones, guitars, synths and much more. Your favourite sound combinations can be stored to any of 96 Registration Memories for instant recall. For total flexibility when performing, you can use up to two pedal inputs, to connect a sustain or expression pedal. For arrangers and songwriters, there are 200 Smart Styles included which provide a live backing band to your playing. Once you have your next big idea, you can use the Song Recorder to capture your inspiration, and even record your performance using the USB Audio Recorder. For the performer, the new live control knobs can be programmed to manipulate tones in realtime, making it possible to change elements such as layer balance, effect depth and pitch controls. 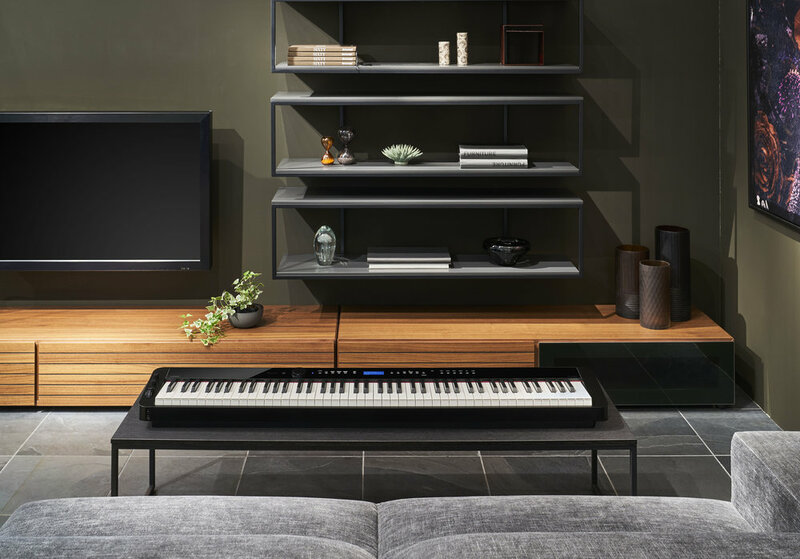 With Bluetooth audio playback, the PX-S3000 instantly becomes the centre of your music making, whether it be in your home or studio. 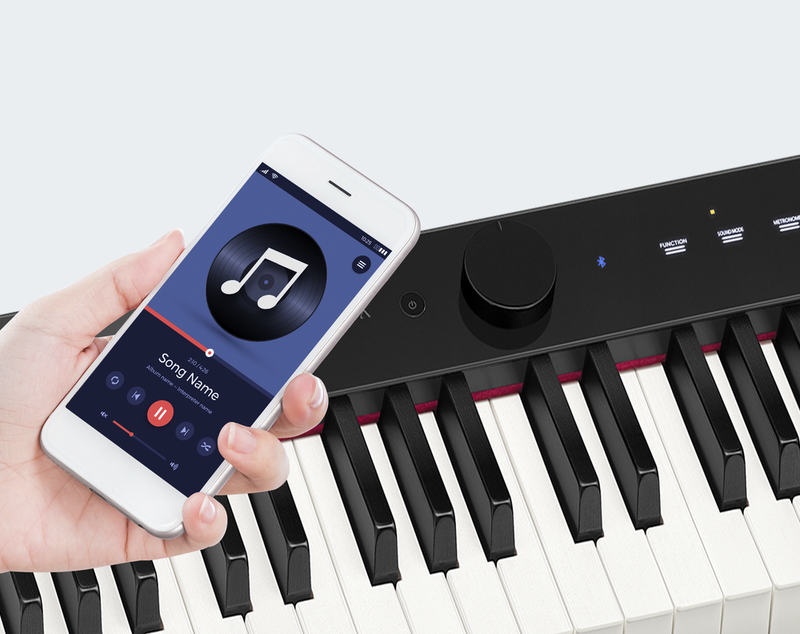 The PX-S3000 is fully compatible with iOS and Android devices and can be used with Casio’s own free Chordana Play Piano App. The PX-3000 is the instrument you need, wherever you need it. 6 AA Batteries will give you up to 2 hours** of playing time when out and about, and at 11.8kg in weight, this is the perfect go-everywhere piano. It’s free, it’s a great way to start playing and it’s included with your PX-S digital piano. * Out of all digital pianos with 88 weighted keys and built-in speakers. Survey conducted by Casio UK in 2018.